Kisna Is a New Kids Series Premiering on 19th October 2014 and Will Air Every Day at 2 PM and 6 P.M Only on Discovery Kids Channel. 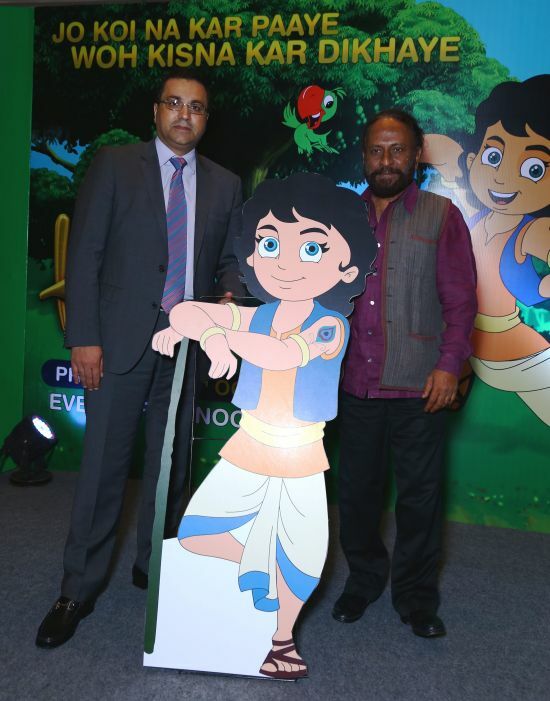 Delivering smart fun to millions of children in India, Discovery Kids will present its biggest launch of the year KISNA. Doubling the joy and sparkle for children this Diwali, Discovery Kids is introducing the enchanting story of an extraordinary little hero KISNA who characterises the victory of “good over evil”. This is the story of an adventurous and amusing young boy from Anandnagri and his adversary the wicked Raja Durjan of Andhernagri. During the series, KISNA will clash with Raja Durjan and each time squash his evil plans of spreading fear in KISNA’S hometown. Watch how the strongest fail to match KISNA’S superpowers and his group of friends as they resolve every problem with wit and valour. JO KOI NA KAR PAAYE WOH KISNA KAR DIKHAYE. KISNNA will premiere on October 19th and will air every day at 2 PM and 6 pm only on Discovery Kids.